This book, Uncle Vova's Tree has an utterly ridiculous list of things going for it. 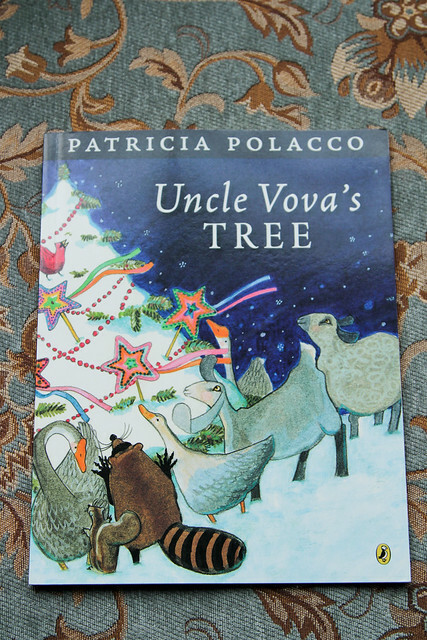 First and foremost, it is by the Mary Poppins of Children's Book authors, Patricia Polacco. Everything she creates is stunning and perfect. Secondly, it is an engaging introduction into Russian Orthodox Christmas Traditions, all of which I wanted to adopt after reading the book. 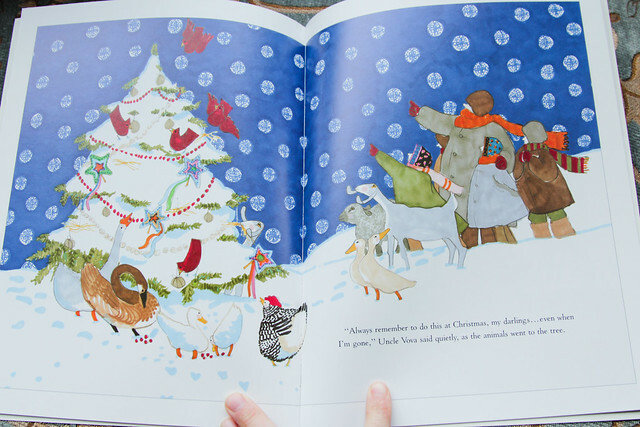 And Third of all, it filled me with so much Christmas spirit I wanted to hug strangers in the grocery store the first day I read it. You should own it, just for the warm fuzzies.